Galería Javier López is pleased to present a selection of the latest photographs by British artist HANNAH COLLINS (London, 1956). This would constitute her third show at our gallery. Hannah Collins’s lives and works between London and Barcelona. Her professional trajectory is situated within the contemporary movement on the usage of photography under the precepts of the visual arts. Her work expresses her concerns about time and the subsequent traces that its progression leaves upon people, objects or landscapes. Her most recent work, grand scale photographic images are printed on canvas, fabric or cotton after a digitalization process. For this specific exhibition at the gallery, the artist presents new photographs, a continuation of her series True Stories. This series, shown for the first time at Leo Castelli Gallery in New York in 1998 is composed of images that offer an exceptional glimpse of the rooftop world that characterizes each of the different cities. 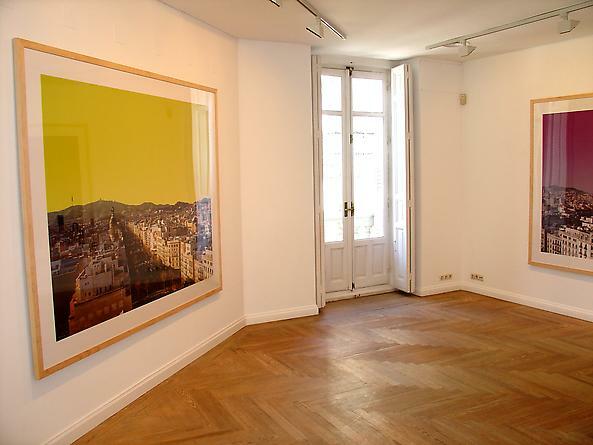 For this particular occasion, the artist chooses to present views of the cities of London and Barcelona. 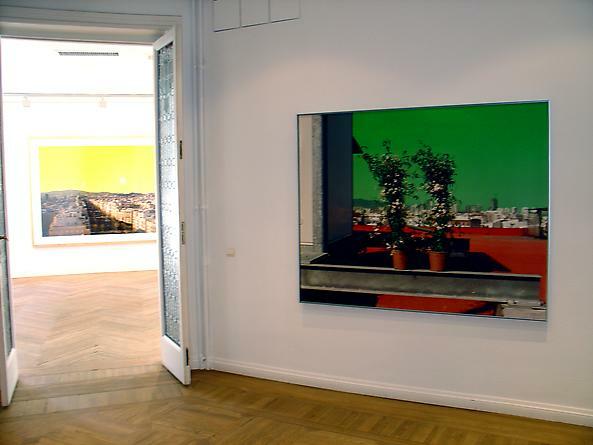 These photographs allow viewers to examine in a panoramic format the intricate urban web from a privileged position; real spaces and places that the artist fictionalizes by modifying digitally the image, emphasizing the skies colors. These urban scenes become for Collins’s like the first cinematic sequences of a film and constitute an open space of meaningful content in which the artist seeks to recall footage of films, novels, events, observations or colors that leave behind trails and shadows impregnating these urban spaces, in the form of short stories. 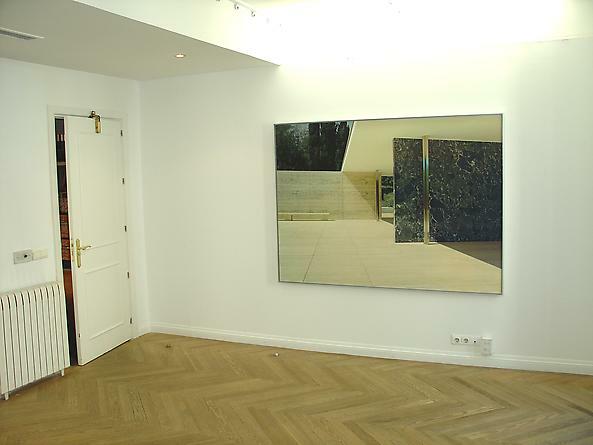 Included in the gallery’s show, there are also images on display that belong to her German pavilion series initiated in 2002, raised by architect Mies van der Rohe for the Universal Exposition of 1929 in Barcelona. 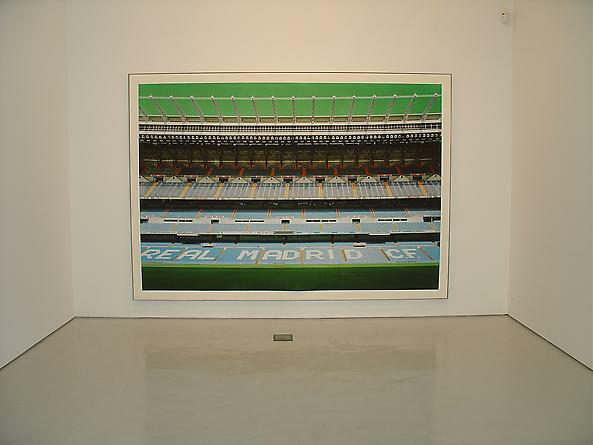 On exhibition there is also work belonging to the series, Bernabeu (2004) and Jasmine (2005), which captures her continuous interest in architecture and urban space. Hannah Collins combines her established photographic competence with the development of cinematographic work. Her latest projects include: Current History produced in collaboration with Russian intellectual writer, Edouard Chiline – filmed at the village of Beshencevo in Central Russia – and Every Other Day, a high definition video series (HDV) in 3 channels, filmed in London, Madrid and Rome in collaboration with three African immigrants. 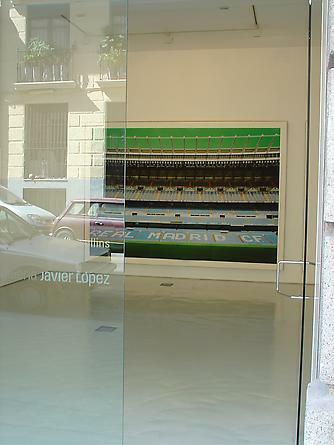 Hannah Collins’s work is well represented in numerous private and public collections, among which the following are noteworthy: La Maison Européenne de la Photographie in Paris, Tate Gallery in London, Museo de Arte Contemporáneo in Barcelona and Museo Nacional Centro de Arte Reina Sofía in Madrid. 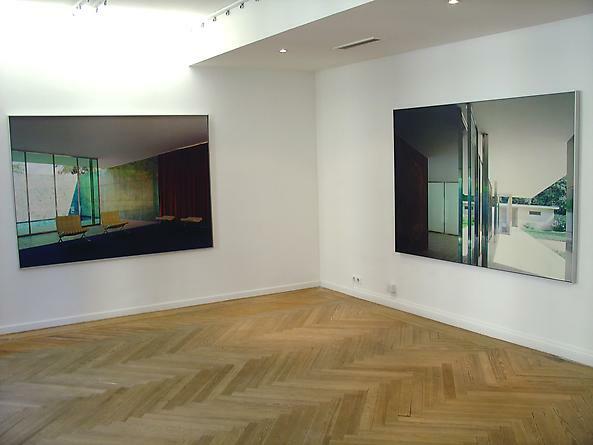 She has had important solo shows at worldwide venues, including: the Centre Nationale de la Photographie in Paris, Walker Art Center in Minneapolis and CAC Málaga.